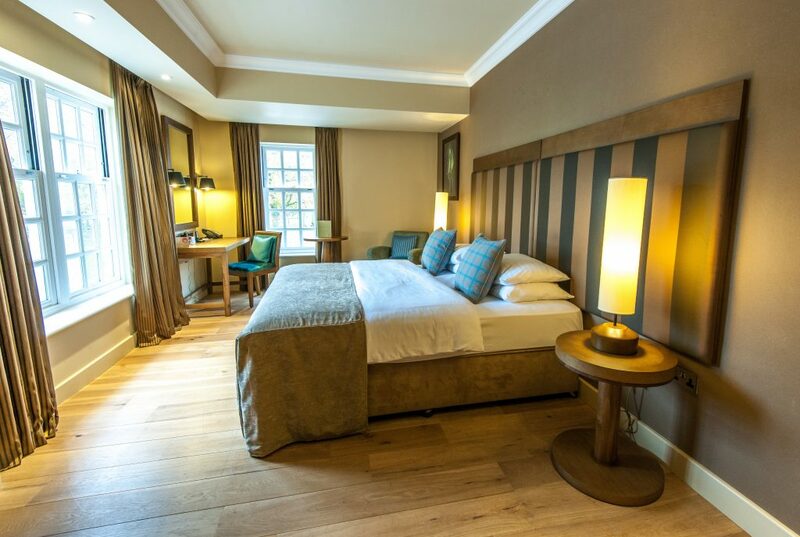 Whether you’re enjoying an hour, a day or an overnight stay at The Spa Hotel, you’re bound to have an incredible time with us. 2pm – And you’ve arrived! You pull up the long, dramatic drive to The Spa Hotel. 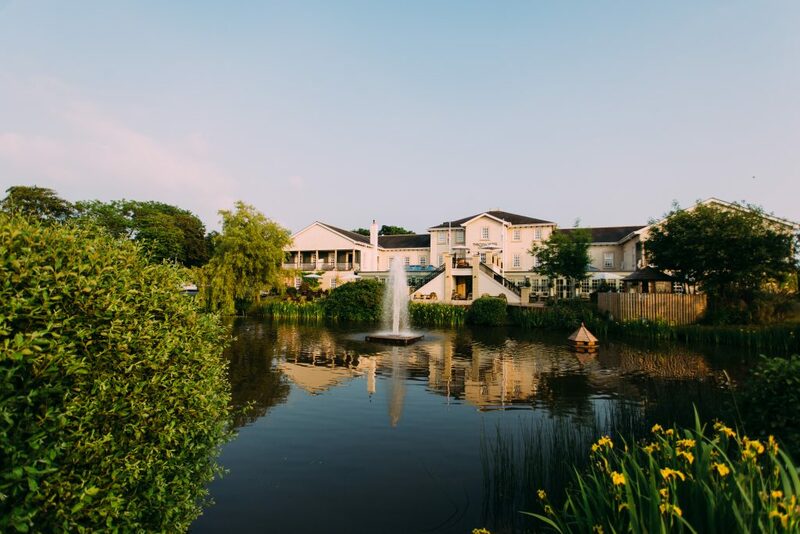 We’re situated in Ribby Hall Village – the only 5* Holiday Village in Lancashire. 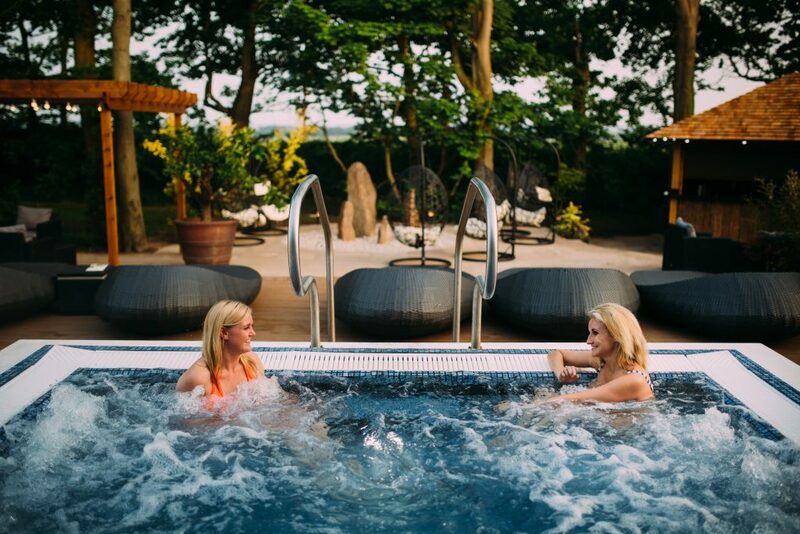 And whilst The Village itself is home to family friendly, self-catering properties and facilities, The Spa Hotel is actually a retreat for over 18s only so you can rest assured that you’ll be able to enjoy some adult-only indulgence no matter where you are staying on The Village! For Spa Hotel guests though, check in at the Hotel Reception where you’ll be greeted by our fabulously friendly team. Why not make yourself at home and enjoy a coffee in our lovely Lounge Bar when you arrive? You’ve put your bags down, got your swimwear on, pulled on the soft robe hanging in your wardrobe and treated your toes to our comfy spa footwear. It’s time to enjoy some You Time. 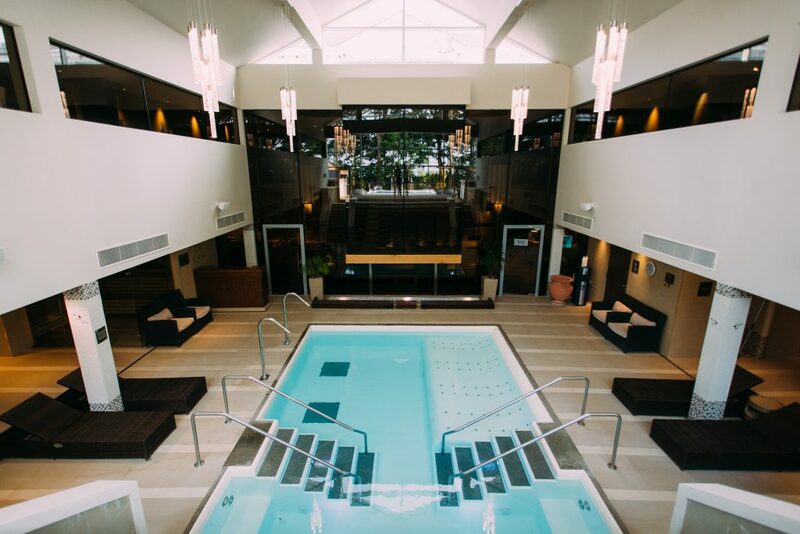 Pop downstairs to the Spa Reception and then work your way round the Spa – fondly known to us as the Aqua Thermal Journey. We have 7 heat experiences, from the aroma room, to the various steam rooms and saunas we have to offer… To the pedidarium for your feet, the tepidarium for your whole body and more… We’ve got it all! Our favourite part might be the newest addition to The Spa – the outdoor hot tub and Zen Garden which was a birthday present to ourselves last August when we turned 5! 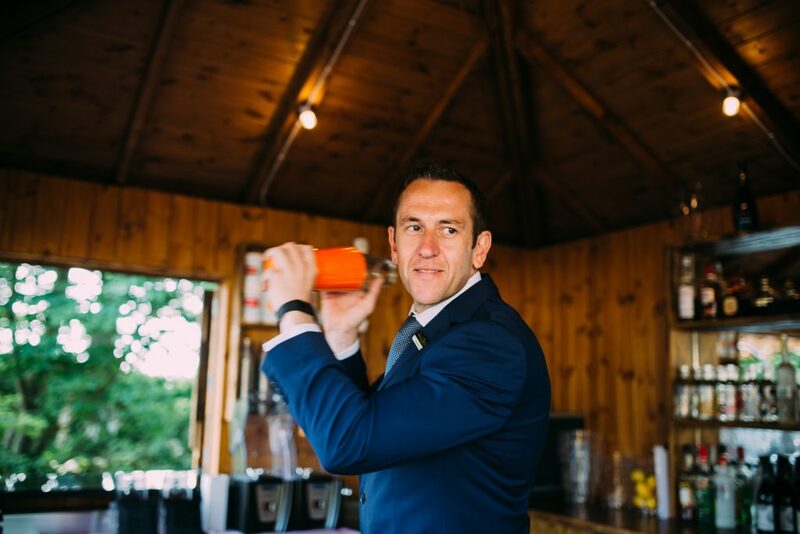 If the sun’s out, a cocktail outdoors from our bar is surely in order – washed down with lots of water to stay hydrated of course. It’s been great catching up with the people you’ve come with, especially in such lovely surroundings. 100 acres of beautiful Lancashire countryside is all that surrounds you to be exact! After all that relaxation, you need to lie down (again)! You head back to your room. Whilst the luxury ones looked lovely, you decided this time around to treat yourselves to the Executive Penthouse so you run the bath and decide to have a soak using the complementary ELEMIS toiletries watching TV, from the comfort of the bath tub! Then it’s time to get glammed up – dinner awaits. It’s nearly time to refuel. It’s no wonder you pre-booked a table at The Orangery – with its 2 AA Rosettes, you didn’t want to miss out! You stroll inside and are taken to your table by your sociable server in light, airy surroundings – the warm orange and green leather seats are so comfortable and stylish. The food is simply delicious. You weren’t sure what to go for as the menu looked so good, so you all opted to order different things so you could see each others’ meals! Who got the best. It’s a draw. Winners all round. Starters, mains and desserts. You’re away. Go on, indulge! It’s time to hit the sack. The lights are low, the bed is looking so slick with its crisp white sheets. You realise that there is a Pillow Menu and as you want to try something different, you give reception a quick bell and they promptly pop up with your choice. You get tucked in and consider reading for a little while or watching a movie but you’re just so chilled out, you go to s-l-e-e-p…..
You’ve slept so soundly, you’ve woken feeling ready to go. As you’ve got your gym kit and are up and about, you pull it on and head to the Hotel gym. It’s way better than you imagined! There’s cardio equipment, weights, pull up bar and plenty of space for your circuits. You’re glad you got up now. You feel so proud of yourself for getting your workout over and done – now you can have even more guilt free chill out time! You noticed there was a Personal Trainer and a Physiotherapist – might consider that for next time, you think… You nip back upstairs, shower and pull on your robe and swimwear again. You’d left a request on the door last night for Breakfast in Bed – what a great surprise. You obviously thought you might like a lie in! Even so, you’re in your comfies, so you climb back in bed, sit in your lovely, modern room enjoying a cup of tea and full English Breakfast, the works! What a way to start the day… This is the life! As you’ve stayed the night, you get unlimited access to the Spa facilities, so 9am sharp you head downstairs to make sure you’re first in! You know that you get access an hour before anyone visiting for the day, so you want to make the most of it! The sun is out, so you head straight for the outdoor hot tub and let the bubbles relax your body and mind as you stare at the horizon. After some time to yourself, you head back to your room to get yourself all sorted. It’s time to check out of the room, but you still have more treats in store. You drop your keys off, pop your bags in the car and head round to the Finishing Touches suite where you enjoy a manicure and pedicure. Wow that was nice, some pure pampering indeed. After all that, you head to the shop and take part in some retail therapy – it’d be rude not to, you think, as you pick your purchase! J You also choose some Spa Vouchers as it’s nearly your friend’s birthday… Perhaps they’ll want to go back with you using them!? She’s actually pregnant so you enquire about Mum to Be treatments and pick up details on Hypnotherapy as she might like to try that. 12.30 – A quick bite! Spa Breaks start from £99 per person and include breakfast, access to the Aqua Thermal Journey and overnight accommodation. Click here to learn more.